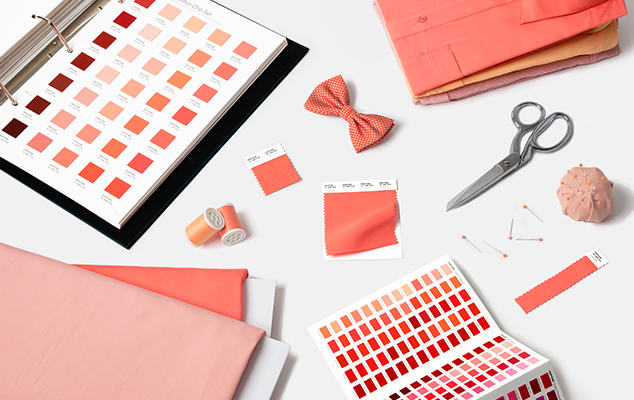 The 2019 Pantone color of the year is a vibrant & warm shade, so why not start adding this color to your wardrobe & home. Give the living coral trend a try! Happy Friday friends! It’s been a long week, hasn’t it? But I somehow managed to not get a lot done. So many people think I rarely have “lazy days” and trust me, I do — Wednesday I had scheduled time in my calendar to film but instead I binged watched 90 Day Fiance! Those days are not common, but they do happen. It’s one way I re-charge and take time for myself. How do you recharge? Anyway, let’s get to today’s post! I’ll be honest, when I first heard that coral was going to be the color of the year, I was not over the moon about it. I can’t say I am now, but it’s starting to grow on me. I don’t typically wear a lot of orange-coral shades, but I think if you find the right shade for your skin tone, you can definitely rock the living coral trend! Starting off with makeup products — a good way to ease into wearing an orange hue on the lips, is by for a liquid lip balm, like this one from Bobbi Brown. But if you’re ready to step out with a bold lipstick, then Charlotte Tilbury’s Hot Lips Lipstick in Hot Emily is a must try! If lip colors are too much, I suggest this MAC Blush in the shade Loudspeaker — perfect for tons of skin tones. If you feel like wearing coral might be too much, you should try adding in some accessories instead. Like these fun tassel earrings, these sunglasses that have a subtle coral color, or this super fun clutch. Now, if you aren’t scared to rock a full coral outfit, then this jumpsuit is for you — such a fab piece! Moving on to furniture/home decor pieces — this cute pouf will add fun pop of color to any room, while still being practical. But if you’d like a full on accent piece, this arm chair is the perfect shade of living coral. Tons of fun coral pieces, right? How do you feel about this years Pantone color of the year? Are you liking the living coral trend? "Best Home Decor Items On Amazon"
"Last Minute Valentine’s Day Date Ideas"